There’s bad luck, and then there’s just plain tragedy. 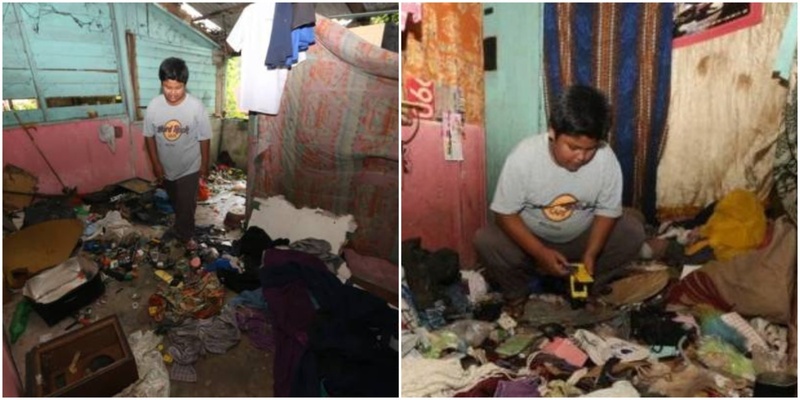 That’s how we’d describe the misfortunes that have plagued this young boy’s life, who is now staying all alone in a dilapidated house, and making ends meet – barely – by sweeping leaves and burning rubbish. 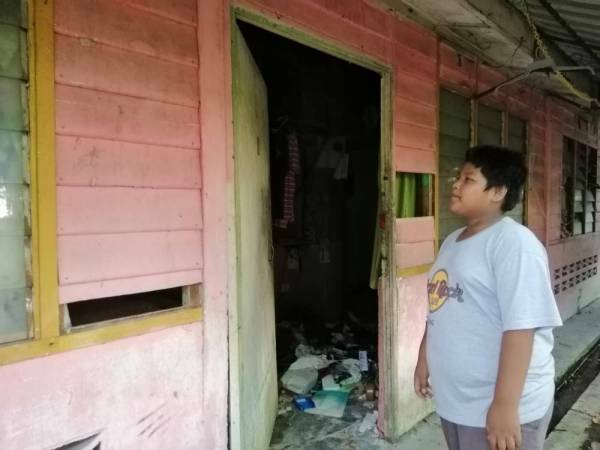 Little Mohd Firdaus Abdullah, who hails from Manjoi, Perak, still has both his parents and relatives but has been forced to fend for himself since the start of April this year. Things started going downhill after his mother and father divorced. Even though his mother remarried after, Firdaus was still left without a father figure five years later when the latter also left mother and son behind. The situation worsened two weeks ago, when he was told by a friend that his mother had been arrested for a drug offence. Say what?! “I didn’t even get a chance to see her (before she was arrested), when I got home the house was already empty,” he said in an interview with Sinar Harian. As he was afraid to live by himself, he would sometimes sleep over at his good friend Syafik’s home, who is also his former classmate. Due to undisclosed circumstances, Firdaus has stopped attending classes since October last year (2018) and he is an only child. 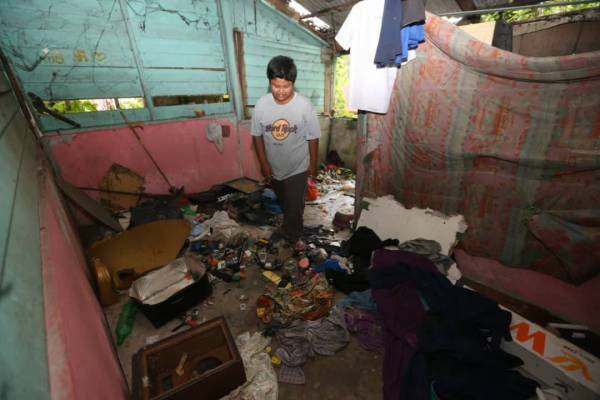 Whenever Syafik’s family needed to return to their hometown, Firdaus would once again be forced to return to his wreck of a house. To make matters worse, the electricity and water supply have been cut off for more than two years already in his residence. Firdaus added that once he stopped school, he managed to earn a meagre wage of RM3 to RM5 by sweeping leaves and helping to burn rubbish at other people’s homes, while his mother would take cleaning jobs when she was still here. Fortunately for them, there were some other villagers who extended their help, a few of whom even gave a bit of cash for them to buy food. 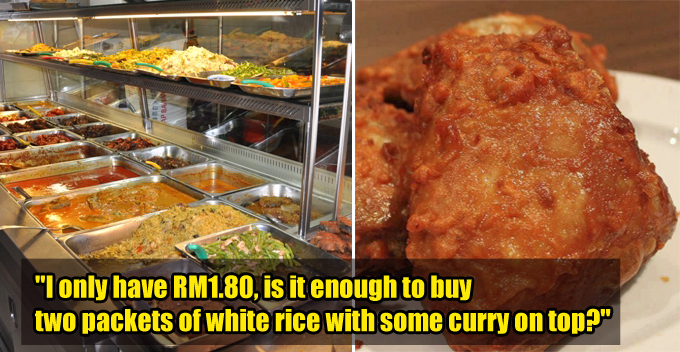 While Firdaus has an uncle who often brings him food, he insists he doesn’t want to trouble anyone, as he knows others like his uncle are also struggling financially. “I’d be lying if I said I’m not sad, and that I’m not afraid to be sitting at home by myself, but what can I do, I can only accept my fate,” he expressed woefully. 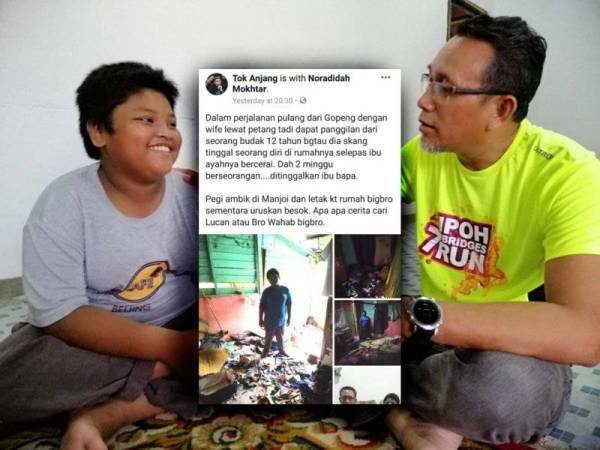 Things began taking a turn for the better once his case went viral on social media, through a Facebook post uploaded by the president of Persatuan Budak Bas Stand Ipoh, Amiruddin Mohd Daud. 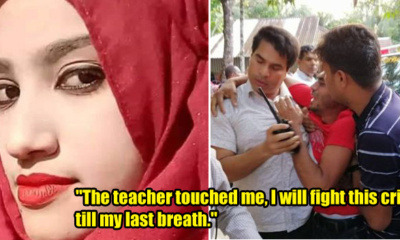 Amiruddin was made aware of the case by the boy’s helpful uncle, who asked for his help to take the boy in temporarily after robbers broke into Firdaus’s home. Why on earth would these criminals want to loot a home that barely has anything, to begin with? Thankfully for Firdaus, the organisation owns a halfway home and he is currently been placed there for the time being, and the home also has staff that will take care of meals and clothes for him. Hurray! Finally, Firdaus has been referred to Perak’s Department of Social Welfare, who will arrange for him to stay at a shelter home’s dormitory and help him out in the future. After everything he has gone through – at such a tender age, no less – Firdaus more than deserves a stable home and a good education. Good luck, Firdaus, we’re rooting for you!